​Toxic metals comprise a group of minerals that have no known function in the body and are harmful/toxic for human and animal life. Most toxic metals are heavy metals (high atomic mass) and all are toxic and should not be inside in the body but still find their way in. Toxic metals play no role in human health causing negative symptoms which influence and can lead to a number of mental and physical health issues. ​Where are toxic metals found and how do they enter the body? ​​​Toxic metals are present in everyday life and even if you follow a balanced nutritious diet and live in a safe clean environment, they can still find their way of getting into the body. There are different ways toxic metals can enter someone - ingestion, inhalation, and absorption through the skin and mucous membranes. Toxic metals can be inside food and drink, medicines, food containers, cooking utensils and equipment, air and water, piping and industrial settings. 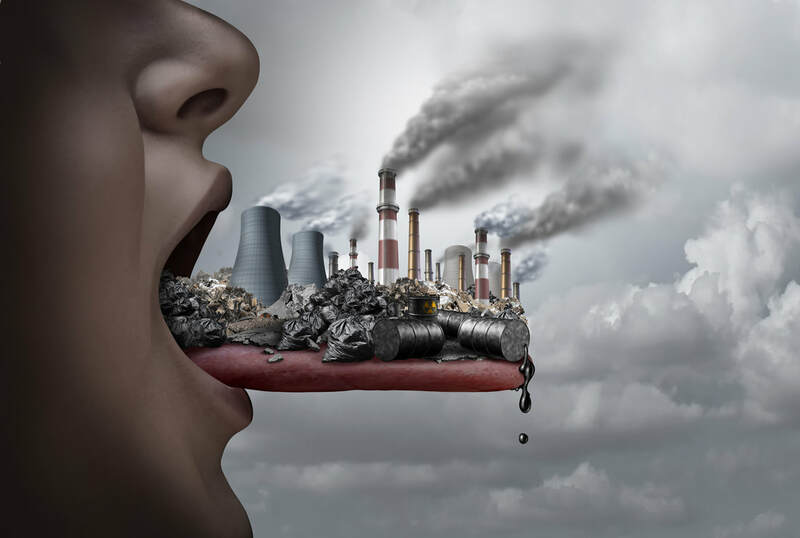 Toxic metals such as mercury can be present in someone's teeth due to the use of dental amalgam fillings containing mercury. What are the causes of toxic metal accumulation in the body? ​​Toxic metals can build up in a person's organs and body tissue and even though the body is capable of protecting the brain from toxins and substances, toxic metals can still find their way into the brain especially when it comes to excessive amounts. A person's susceptibility to toxic metal build up depends on their diet, lifestyle, working environment and general day to day contact, another factor is stress. Stress can have a big impact on mental and physical health (for more information on stress please click here) and it can increase the likelihood of toxicity. Adrenal fatigue is another factor; the adrenals are needed to detoxify from toxic metals, if these organs are impaired they cannot do their job properly (for more information on adrenal fatigue please click here). What are the mental and physical health conditions/symptoms associated with toxic metals? Many mental health issues and physical problems can be associated with toxic metals, they also play a role in illness and can affect brain chemistry changing a person's behaviour. Toxic metals can interrupt important biochemical and metabolic processes, they also have a big impact on cell function and health. ​What are the toxic metals? There are different types of toxic metals which can accumulate in the body, the most common ones are aluminium, mercury, lead, arsenic and cadmium. There are a number of toxic and nutrient metals which are heavy, meaning that they are relatively dense and have a higher atomic weight. Nutrient heavy metals are required in smaller amounts than other lighter nutrient metals and they are regarded as trace elements. All essential nutrient metals can have some form of toxic side effects when they are in excess and some can create more side effects than others especially if they are heavy. Nutrient metals which can create more toxicity are ones like - copper (most frequent), manganese, iron and zinc. Below is a list of toxic and nutrient metals, if you click on a specific metal you will find more detailed information on the sources and what possible conditions can be associated with toxicity or an excess. The most reliable and stable form of testing for toxic metals and minerals in general is hair tissue mineral analysis (HTMA). Hair works as a soft tissue biopsy, so the test is measuring any toxic metals which have accumulated in body tissue and essential mineral storage. For toxic metal testing please click here for the available tests page. Detoxification of toxic metals involves dietary changes, lifestyle changes, detox regimes, supplement use and eliminating exposure to toxic metals. If you undergo testing for toxic metal presence and test positive then you will receive the toxic metals treatment programme attached in the results email. If you have any questions about your results, then mindovermetal will answer them for you.